JASON Maskos will have one of the biggest jobs on Fremantle Community Bank Oval in Sunday's WAFL preliminary final, but having proven himself one of the league's best defenders, he's hoping to help South Fremantle into the Grand Final by playing his role on West Perth's Andrew Strijk. Maskos is now a seasoned WAFL performer with 79 games under his belt and even though his early part of 2018 was slowed through injury, there's no question his second half of the season has seen him produce the best run of form in his career. He could very well lay claim to being the best lockdown defender in the competition when it comes to limiting the influence of the league's small and mid-size forwards and Strijk provides no bigger challenge for someone in that category. Having played most of his 226-game career with West Perth either at half-forward or half-back, Strijk has settled at full-forward in 2018 and went on to kick 43 goals during the home and away season to share the Bernie Naylor Medal with teammate Tyler Keitel. 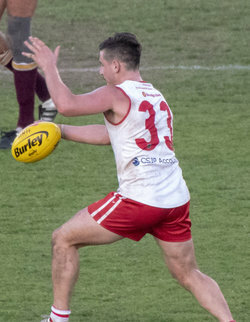 Strijk did manage to kick three goals opposed to Maskos in South Fremantle's win by five points in Round 18 before in the qualifying final, he kept him to just one goal and seven kicks as the Bulldogs won by 98 points. South Fremantle now hosts West Perth in Sunday's preliminary final at Fremantle Community Bank Oval with a spot against Subiaco at Optus Stadium on the line, and Maskos will be ready for the challenge Strijk presents if coach Todd Curley throws the task his way. "I've got him the last two times we've played them and it's a big challenge because he is a great player who is in great form. I'll take on the challenge if I get the job, but if they give it to be someone else then I'm sure they'll do well," Maskos told 91.3 SportFM. "It's just his size that makes him tough. He is a heavier bloke than me but his hands are good, he positions his body well and he's also got a good burst of speed. "It's always hard when most of their team just looks for him up forward now but he's a great player. He reads the ball well and his kicking is obviously really good as well." The other big job in South Fremantle's back-line in the preliminary final will be trying to quell the influence of West Perth's other Bernie Naylor Medal winner, Tyler Keitel. Noah Strom, in his first year of league football, has done a tremendous job in his first three match ups on Keitel in 2018 limiting him to five goals across those games. Maskos has been pleasantly surprised with how well the young Strom brother has performed right throughout 2018 and hopes it continues for two more weeks. "Noah came up through our colts and obviously his brother Zac has played a lot of league footy now, but Noah at the start of the year was someone nobody expected to be playing this week," he said. "But to his credit, he has shut down most players that he's played on and last week when Zac Clarke took a mark at the top of the goal square, it was the first time we remember all year seeing someone outmark him. "He is one of those quieter guys around training but then I started playing with him earlier in the year when I came back from injury and he's one of the loudest guys out there. He is helping us set up and he has improved in leaps and bounds, and is having a great year." Coming off the 98-point qualifying final win over West Perth, South Fremantle started strongly against Subiaco in Sunday's second semi-final kicking five goals to one in the first quarter. 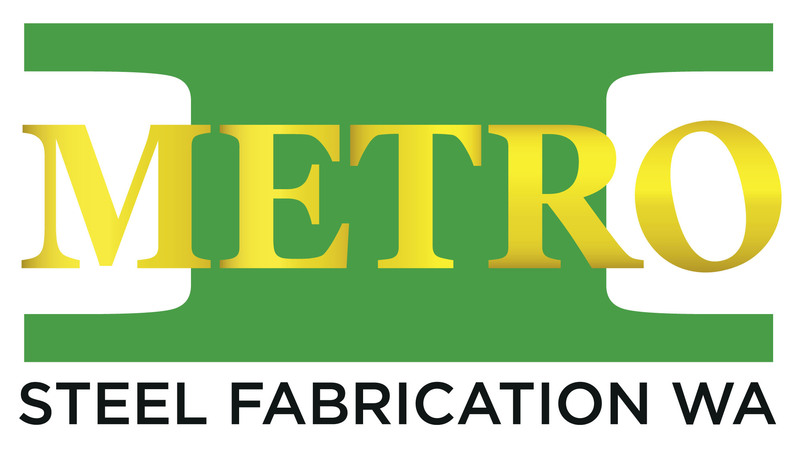 They couldn't quite maintain the advantage and lost to the Lions by 18 points but they have another chance to reach the Grand Final this Sunday against West Perth. While the Bulldogs have won nine straight against the Falcons, Maskos knows that doesn’t guarantee anything with a Grand Final berth at stake this time around. "We were a bit disappointed that we couldn’t finish off our strong start but we do take away that our best football can match it with them. But our focus right now is on West Perth this week and trying to play well again," he said. "It gives us confidence but we know a couple of weeks in finals is a long time and a lot can change. "They bounced back last week against Claremont and played really well, so we are expecting them to give it a big crack on the weekend. We know they won't come out like they did two weeks ago and it will be a lot harder for us this time around." 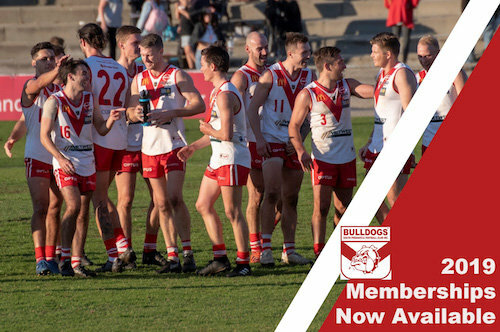 Having also played in the past two preliminary finals and missed out on a Grand Final appearance, the hunger among those at South Fremantle is at an all-time high and for Maskos, it would cap a tremendous journey following on from his father Arthur's legacy with the Bulldogs. "If anything it makes us more hungry for it. We felt the last couple of years we played well during the year but seemed to fail at that final hurdle to get into the Grand Final," Maskos said. "But we are just eager to get back at it this Sunday to get us into this Grand Final that we've been working so hard for over the last three years. "It would be massive to me to play in a Grand Final. To be honest 10 or 12 years ago I wouldn’t have even be thinking that I would get to this point but I've played in a couple in the ressies and colts now, so would love to get up and play in one in the league. "Then if we get a win it would be awesome, but right now we have to just focus on the prelim."